Chard (pronounced "SHARD") is a leafy green vegetable common in Mediterranean cuisine, particularly Italian, where it's featured in pasta dishes, in risotto and even on pizza. Perhaps most commonly referred to as Swiss chard, it's related to beets, and chard greens look similar to beet greens, but unlike beets, the root of chard is inedible. 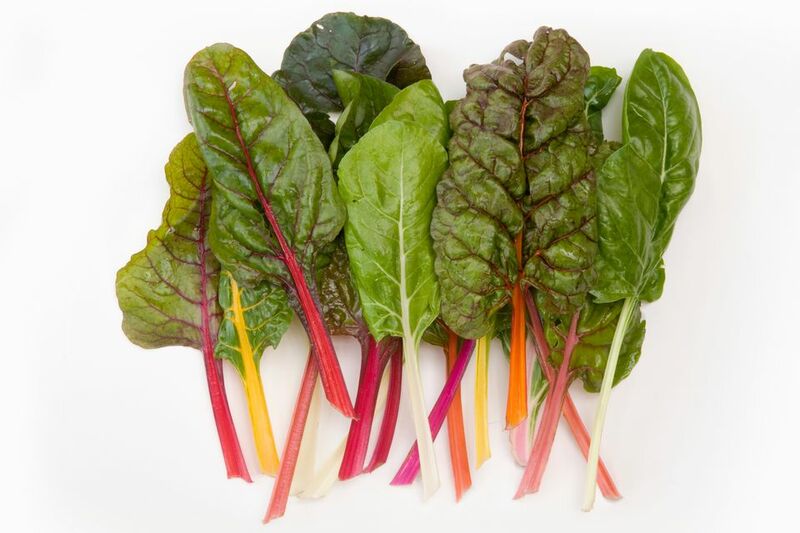 Chard is available in many different varieties, some of which are distinguishable by the color of the chard's stems. The stems range in color from red to yellow to white. You will usually see something called "rainbow chard" at the grocery store or farmer's market, which is basically a bundle of red, yellow, and Swiss chard (which has white stems), rather than a specific multicolored variety. Chard's flavor is comparable to spinach, although this depends on what cooking technique is used. It can be bitter, especially Swiss chard. Cooking tends to diminish the bitterness so that its earthy, sweet, almost beety flavor is most pronounced. One of the best ways to prepare chard is to sauté it, although it can also be cooked by moist-heat cooking methods, such as steaming, or dry-heat cooking methods, such as grilling or roasting. Chard also happens to be an easy vegetable to grow in your garden. You can plant it twice a year, in the spring and again in fall, and in some climates, such as here in the Pacific Northwest, it will live all year long. You can eat the younger leaves raw, like in salads, and the more mature leaves, which are tougher, are best served cooked. Like with collard greens, it's best to remove the stems and ribs from the centers of the leaves, because they can be tough and fibrous. Some people like to cook the stems separately.